An early stage start-up company within the telecommunications industry was looking to have a prototype assembly evolve into a production-ready unit that could be mass produced efficiently, to populate the market. PEKO became involved with this partner through our relationship with a start-up and innovation incubator. Our electrical engineering capabilities and experience with industrial regulatory codes, combined with our in-house controls (electrical) build group, resulted in a great fit for this challenge. PEKO’s engineers initially worked closely with our partner to understand the technology and their IP surrounding the prototype unit’s design. The unit essentially allows for a “smart grid” and remote capabilities to control power distribution. PEKO’s team then developed various concepts to enable a production friendly product design, while not compromising the functional requirements of the system. This collaboration allowed the start up company to explore new components and different design features that had not previously been tested. PEKO was able to eliminate unnecessary cost while reducing production time and simplifying the system. Throughout this iterative process, PEKO continuously supported all prototype build needs to allow our partner to meet all requirements to keep their young business progressing forward. 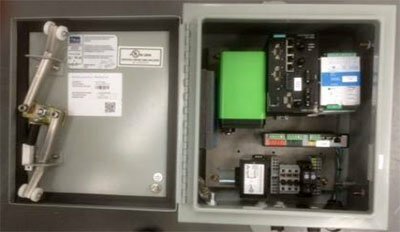 In addition to building production ready units, PEKO also completed an entire, accurate documentation package for our customer’s product. This now allows them to completely own their destiny and offer a complete solution. Through this project the product has become more marketable and it can now be scaled to large volumes. This allows our partner to successfully pursue new opportunities. PEKO has also become involved in conceptual and developmental work for additional products within this customer’s portfolio, as our partnership continues to grow.